How to Manually Find and Download Drivers Using VEN and DEV IDs? For devices that are listed under Other Devices in Device Manager as, for example, Base System Device, Coprocessor, Ethernet Controller, Network Controller, Audio Device, or other, using a device VEN and DEV IDs is one of the manual options for identifying device make and model and downloading its drivers online. This task will require some time, energy, and effort, but it’s will save you $29.95. If you are a busy person and want to save your time and energy, you definitively want to consider using a reliable Automatic Repair Tool like Driver Detective instead. The license for this tool costs $29.95 for one year, including automated repair and download of all problematic, outdated, incompatible and missing drivers on your PC. In order to appreciate the benefits and advantages of Driver Detective, we will discuss the option for manual driver search and download using VEN and DEV IDs from a real example of Base System Device problem. What are VEN and DEV IDs? How to Locate These Device Details? How to Use VEN and DEV IDs in Gathering Hardware Device Details? How to Download the Device Drivers from Official Website? VEN and DEV IDs stand for Vendor ID and Device ID – these are the unique codes identifying a hardware device including the device model, type, and the hardware device manufacturer. 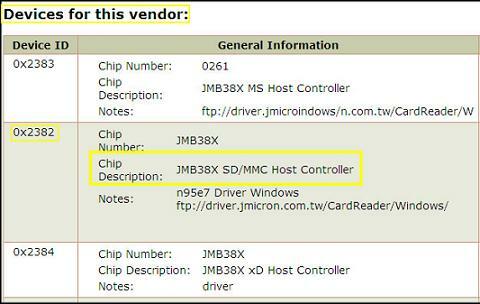 These IDs are available for most hardware devices and components. To be able to gather these details, you need to view the Properties of your problematic hardware device. As you can see, in our example, the Vendor ID is 197B, and the Device ID is 2382. 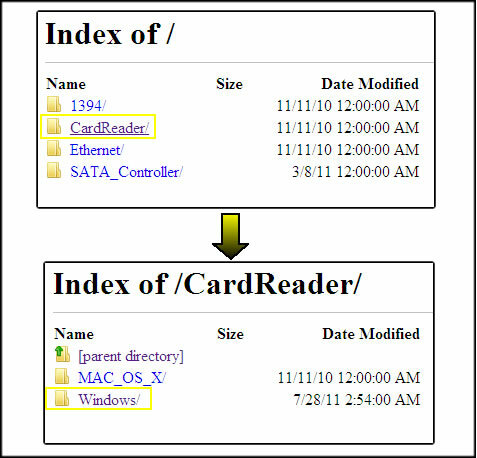 Having these IDs, you can already use them as keywords to search online, but there are risks lurking online which can harm your PC’s system or your hardware device such as infections from drivers bundled with spyware and computer viruses, and additional troubles due to wrong and incompatible drivers. One helpful website you can use is PCIdatabase.com, online database for device details, including device type, model, and manufacturer. 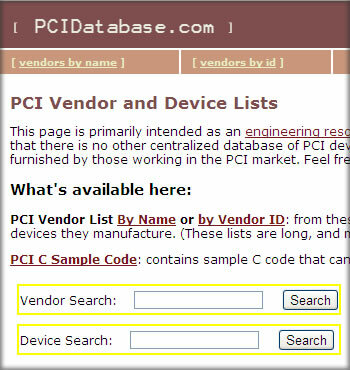 PCIdatabase features Vendor and Device Search that only requires the corresponding DEV and VEN IDs as keywords. 4. Click the link of the corresponding Vendor Name, and details of the device Manufacturer will be provided together with the official URL address. 5. If the list of devices is not too long, match the Device ID in the list of Devices for this vendor, in our example it’s 2382. If the list of devices of your Vendor is too long, it will be easier to also perform the Device Search to match Device and Vendor IDs. Also, there are cases when the same device ID is associated with different vendors, so it’s important to double-check your data by performing both Vendor ID and Device ID search. 3. Check the provided details to make sure that the gathered details from Vendor Search are being matched. Unlike Vendor Search, Device Search results provide the Vendor ID, Description, Device ID, and Vendor Name. The reason for this is previously mentioned point that some Device IDs are associated with more than one Vendor; therefore, there can be a list of dozen devices with the same Device ID. That’s why it’s very important to perform the Vendor ID search first. After gathering enough details and making sure that the details are correct by matching DEV and VEN ID search results, you can now visit the official website address to search and download your device drivers. Even though there are drivers which will work for most Operating Systems, there are also device drivers that are only designed to function with a specific OS type, such as drivers only designed for Windows 7 64-bit OS, which will not function, for example, in a computer using Windows XP 32-bit OS. So, aside from device details, it’s beneficial to learn about your OS type, and failure to do so may result in incompatibility issues. In our example, the OS is Windows 7, and the System Type is x86 (x86 corresponds to 32-bit OS, and x64 stands for 64-bit OS). There are different approaches offered by hardware device manufacturers in downloading hardware device drivers, but they do require almost similar and specific details. 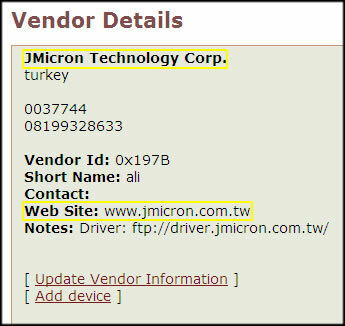 You will be asked to choose and specify the type of your device, like in the JMicron download page. Please note that manufacturers that support and handle numerous device types and models require more device details in order to specify the correct drivers to be downloaded. 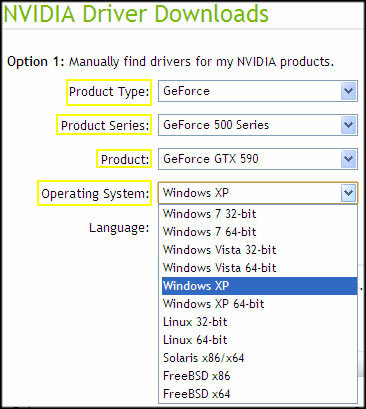 For example: NVidia requires Product Type, Product Series, Product, and the Operating System before redirecting you to the appropriate download page. After specifying the required details, you will be redirected to the download page where you can download your device drivers. And, if there are several versions available, carefully choose the latest version of device drivers that best suit your PC or laptop. As a recap, you can see that using VEN and DEV IDs in searching and downloading drivers may take a lot of time and energy, but it’s definitely one of the safest manual ways for finding and downloading drivers for devices listed under Other Devices in Device Manager. PC users must be aware that one single mistake may cause additional hardware device problems, such as incompatibility issues (downloading Windows 7 32-bit OS driver instead of Windows 7 64-bit driver). So, if you don’t want to go through this hassle, consider using Driver Detective to automate the driver search and download procedure.